I’ve got a good friend who has lived through all the challenges one person doesn’t deserve to face in one lifetime – one very tragic accident that affected her whole family, and then – just when things were sort of on an even keel – a life-threatening illness for my friend (from which she has thankfully recovered). Meanwhile, I am kind of coasting along through the rollercoaster of raising a family and becoming a responsible adult – two daughters (now 18 and 11 years old respectively). Back to my friend who has had all those challenges in her life, in parallel to my lesser but still significant challenges in life. Whenever I meet her, she always says how great it is simply to “be alive.” This statement probably resonates strongly with anyone who has faced a serious illness. For me, it signifies a growing awareness of how each day of one’s life is really precious. So, I’m starting to grab every moment in little ways. And what better way to do that than to go hiking in the mountains? 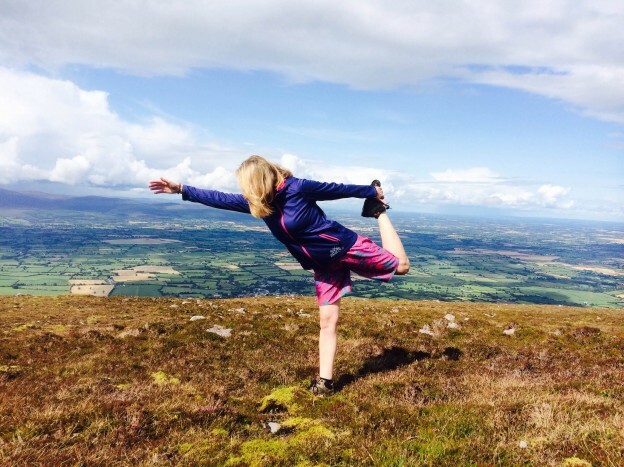 Tipperary is made for hill-walking – there is tremendous beauty in the hills that are never far away – the Galtees, Sliabh na mBan, the Knockmealdowns, the Comeraghs. Where else would you be on any kind of decent day, but up there in them hills? A pair of boots, some sustenance, map, compass, raingear, and a few hours away from your responsibilities. The great thing about a weekly pilates class is that the work you do on the mat – stretching and strengthening your hips and legs, relaxing and balancing your shoulders and whole body – equip you to be able to go out and walk and climb, to be up there in the awesome landscape that surrounds us. The beauty of the world awaits you! Become strong, stay strong, enjoy being alive! This entry was posted in Blog and tagged alive, hill-walking, mountains, Pilates, Tipperary on 15 September, 2014 by Eimear. I’ve been doing Pilates with Eimear for one year now (recommended by a physiotherapist) and my back is stronger and more flexible, I’m more toned in general and I can see the progress I’m making over time which I like. I highly recommend Eimear’s classes.